16 July 2018: National Regional Property Group is working with local Portsmouth schoolchildren to inspire the next generation of property developers. On 11 and 12 July, the company joined other businesses from Portsmouth at Miltoncross Academy’s career day and mock interview days. At the careers day, the company spoke to pupils about the sector and the wide variety of roles available. 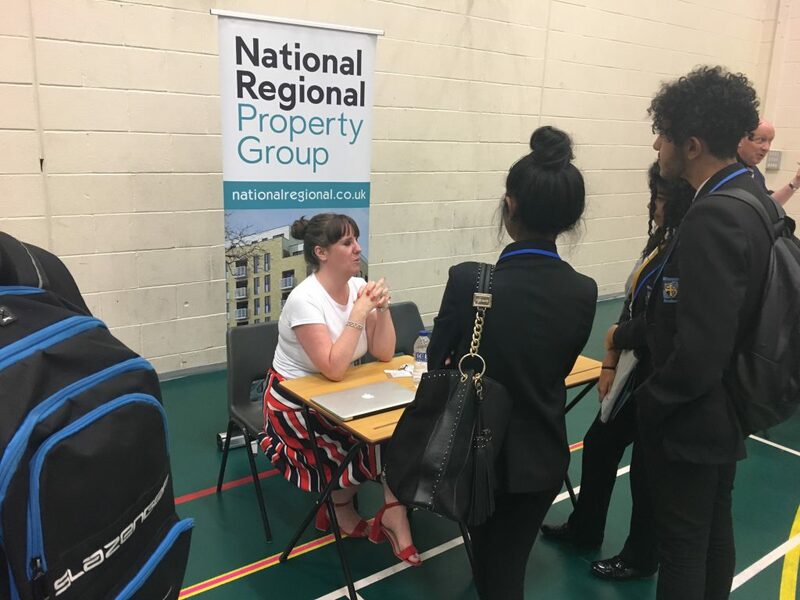 During the event, National Regional Property Group’s Jo Burfitt took take part in a speed networking session during the careers fair, which is organised by the school every year to help pupils prepare for their next steps. The following day, the company attended the Year 10 mock interview event, giving pupils the opportunity to have a formal interview with members of the Portsmouth business community. Pupils had previously prepared a CV, cover letter and application form for a role which they were interviewed for. Read about other ways National Regional Property Group is working with communities in Portsmouth.